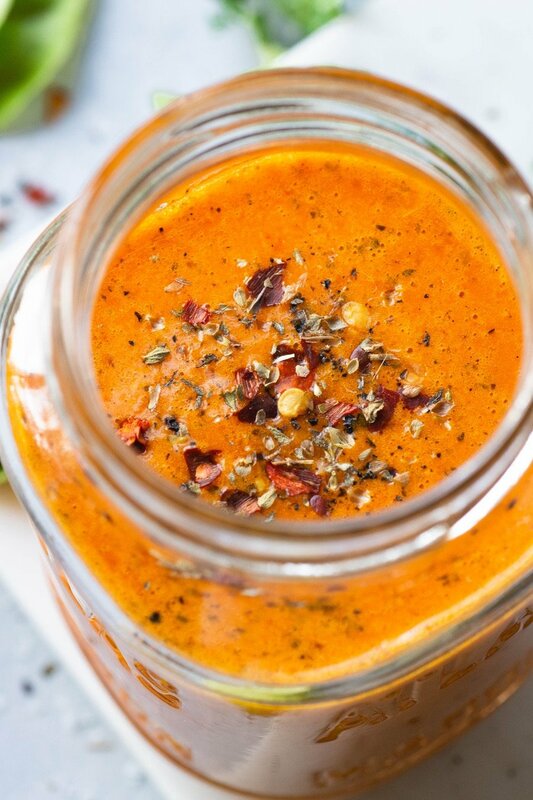 This healthy roasted red pepper dressing is bright and flavorful! The perfect colorful and nutrient dense addition to brighten up any dish. Not only delicious with a healthy green salad, but also pairs well with chicken and salmon! Paleo + vegan friendly! I am totally a believer in the power of a perfect salad dressing. You know the one: the texture coats your salad greens PERFECTLY, and there’s just enough sweet, sour, and salty to hit all the right notes. It adds something unique to your meal but never over power’s the other flavors. That my friends, is this healthy roasted red pepper dressing in a nutshell. This entry was posted in dressings & sauces and tagged blender, chicken, dressing, easy, fish, food processor, healthy, kale, nyssa's kitchen, paleo, romaine, salad, salmon, vegan, vinaigrette, whole30 on April 24, 2019 by Nyssa Tanner. This dairy free ranch dressing is made with a few simple ingredients that you likely already have on hand, with none of the junky ingredients that are in the bottles at the store. Plus it’s ready in 5 MINUTES! So delicious as a dip or a dressing for your favorite salad. A healthy and tasty alternative to everyone’s favorite dipping sauce. I’ve said it before and I’ll say it again: Ranch dressing and I are BFF’S. I would go as far as saying that it’s made of magic. You can make a suuuper simple meal, top it with this amazing ranch dressing, and it tastes INCREDIBLE. A creamy, garlicky, herb flecked dressing that is super easy to make, versatile, and nourishing? COUNT ME IN. 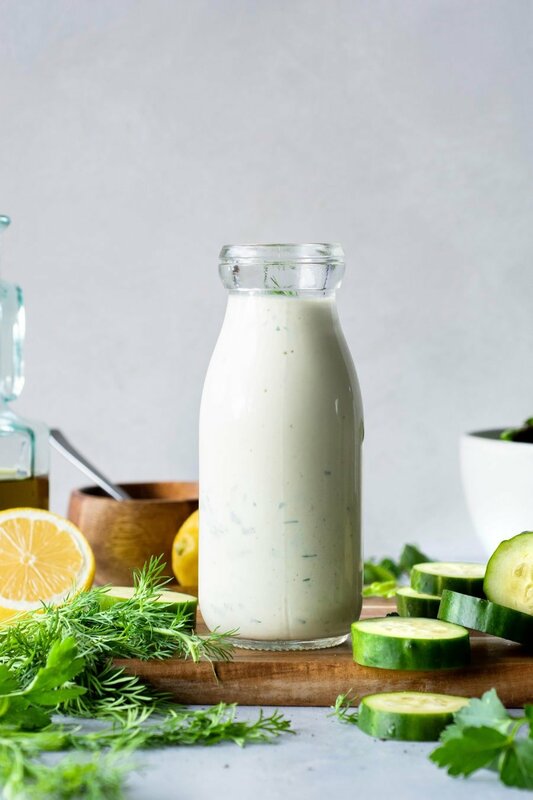 In this post I’m going to share with you my recipe for the best dairy free ranch dressing that also happens to be paleo and whole30 friendly. I’ll teach you how to make it from scratch and also give you some tips to make the most of your new favorite dressing! This entry was posted in dressings & sauces and tagged dairy free, dressing, gluten free, keto, keto friendly, nyssa's kitchen, paleo, ranch, ranch dip, ranch dressing, sauce, whole30, whole30 friendly on April 23, 2019 by Nyssa Tanner. Being from the midwest, green bean casserole was always a very big part of our Thanksgiving spread. Right up there with my grandma’s famous layered raspberry jello whipped cream dessert  Okay, so the times have changed and what fills our plates on Thanksgiving has changed with it, but there are some dishes that I refuse to say goodbye to. And so, healthier paleo-friendly and vegan versions are made! Top of that list? 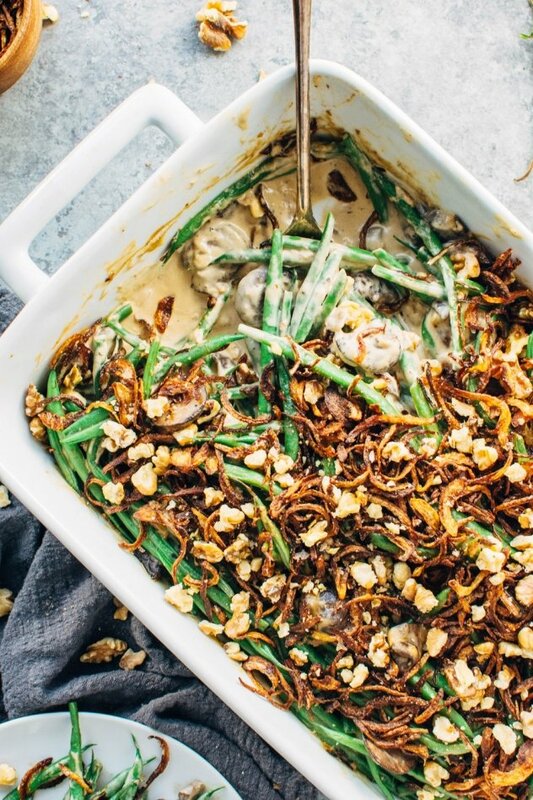 This grain free paleo green bean casserole. It’s insanely delicious, vegan friendly, and free of all the junky ingredients that are usually in this famous casserole. This was on last years menu as well, but I didn’t have the recipe fully developed, and so I hung onto it just waiting for this year’s festivities. But in the name of eating clean AND enjoying every minute of it I think it’s worth re-working this classic dish. Especially during this time of year when the struggle to eat for you health and enjoy shared meals is so real. 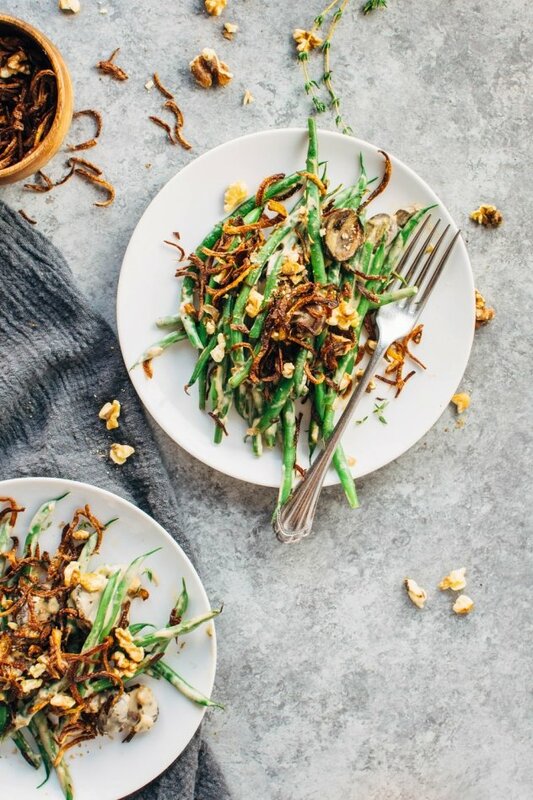 This entry was posted in dinner, side dishes and tagged cashew cream, dairy free, gluten free, grain free, green beans, healthy, holiday, mushrooms, nyssa, nyssa's kitchen, paleo, thanksgiving, vegan on November 20, 2017 by Nyssa Tanner.